Police investigate after an officer and suspect were wounded in a shooting in the 8100-block of South Maryland Avenue, police said. 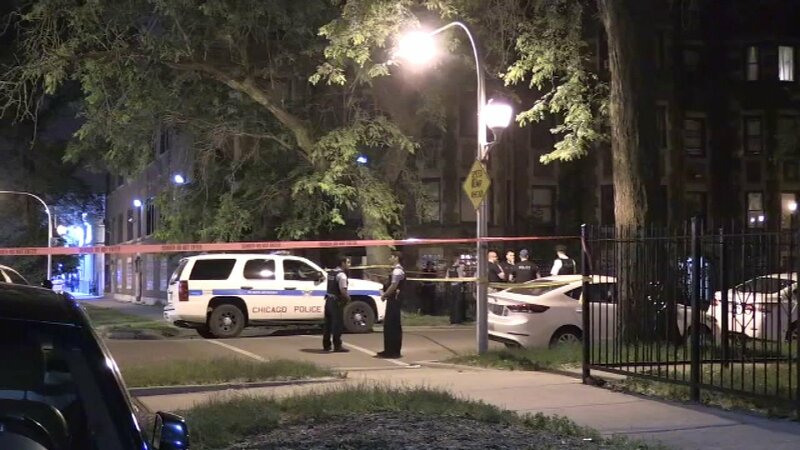 CHICAGO (WLS) -- A Chicago police officer and a suspect were wounded in a shooting in the Chatham neighborhood Saturday night, police said. Officers approached a man who was drinking on the sidewalk at about 11:07 p.m. in the 8100-block of South Maryland Avenue, police said. Officers chased the man into a building where they exchanged gunfire. "Upon entering the stairwell, observed the offender with a gun. There was a struggle over the gun. The offender shot one of the officers in the hand. Officers returned fire, striking the offender," said Chicago Police Deputy Superintendent Kevin Navarro. The officer who was wounded is in good condition, police said. The suspect's condition has not been released. A weapon was recovered from the scene, police said. The incident is under investigation by the Independent Police Review Authority. Officers involved will be placed on administrative duties for 30 days, police said. On Monday, Dashonn Maggette was charged in the shooting, according to a tweet by CPD spokesman Anthony Guglielmi.